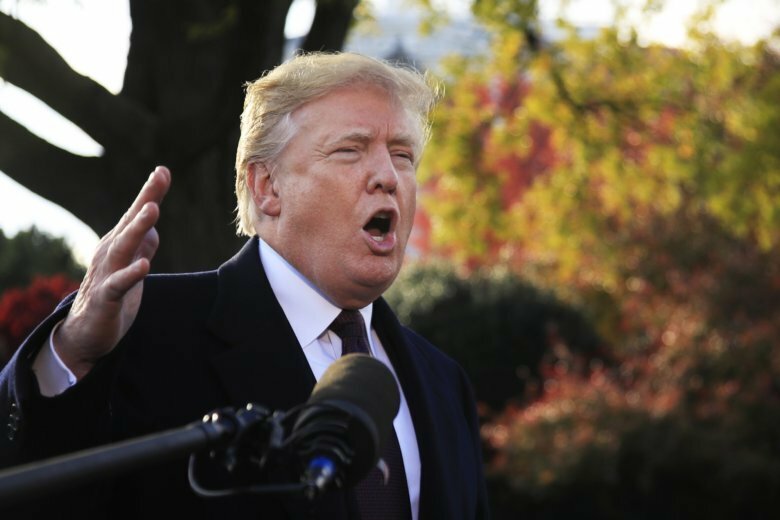 Even by Trump's standards of bare-knuckled politics, his comments on an array of controversial issues during what is typically a ceremonial and routine Thanksgiving call was striking. CNN — President Donald Trump used a Thanksgiving morning call with military members to weigh in on a wide variety of sensitive political topics, a stark departure from typical holiday greetings from the commander in chief. Even by Trump’s standards of bare-knuckled politics, his comments on an array of controversial issues during what is typically a ceremonial and routine Thanksgiving call was striking. Trump, who also spoke at length to reporters after the call, demanded stronger borders and touted US military efforts to secure physical barriers between the US and Mexico. He reiterated his call for “fair trade deals,” defended his daughter Ivanka Trump against accusations of improper email use and praised Saudi Arabia’s strategic value to the US amid international uproar over the killing of Washington Post journalist Jamal Khashoggi. And he kept up his complaints about federal judges whose decisions he disagrees with. “It’s a terrible thing when judges take over your protective services when they tell you how to protect your border. It’s a disgrace,” Trump said in reference to the 9th Circuit Court of Appeals. Earlier this week, a judge from the Northern District of California — where cases get appealed to the 9th Circuit — issued a temporary restraining order blocking the Trump administration from barring migrants who cross into the US illegally from seeking asylum. The 9th Circuit is a “big thorn in our side,” Trump said at one point. “We’re not letting in anybody, essentially, because we want to be very, very careful,” Trump said. Trump has ordered nearly 6,000 troops to the US-Mexico border to provide backup to border personnel preparing for the arrival of groups of migrants from Central America. The order was issued in the lead-up to the midterm elections, when Trump was making the fight against illegal immigration a central part of his pitch for Republicans seeking office. Trump also defended his daughter Ivanka after it emerged earlier this week that she had used a private email account to discuss or relay official White House business, a practice evocative of the one over which Trump harshly criticized Hillary Clinton during the 2016 campaign. Trump also praised Saudi Arabia, calling them a “longtime strategic partner,” and said they are investing billions of dollars in the US. He once again defended Crown Prince Mohammed bin Salman over Khashoggi’s murder. “I don’t know if anyone’s going to be able to conclude that the Crown Prince did it,” Trump said. The CIA has connected the crown prince to the killing.